The first edition of the HVAC R Expo will host more than 200 exhibitors from around the globe, organisers dmg events announce. 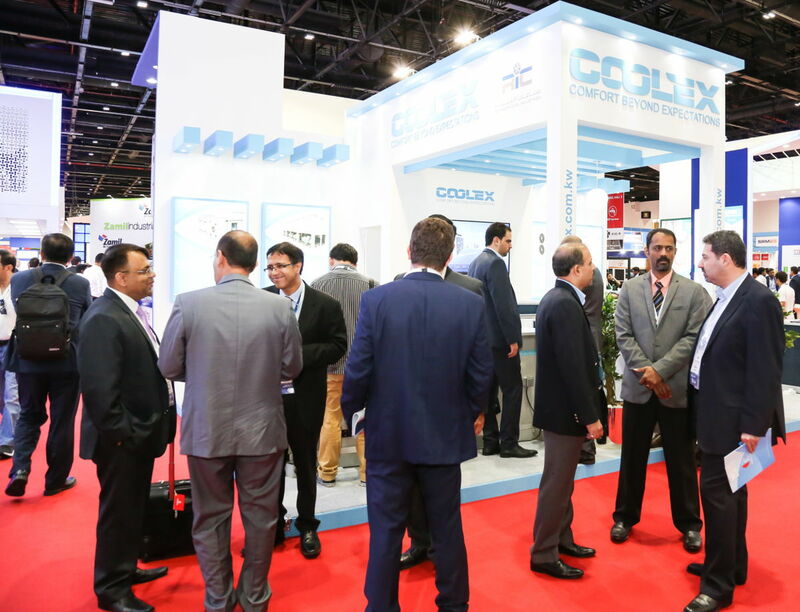 The only event dedicated to the heating, ventilation, air conditioning and refrigeration industry in Dubai, HVAC R Expo will run as part of The Big 5, the largest construction event in the Middle East, from 26 to 29 November 2018 at the Dubai World Trade Centre. Launching with a broad industry backing, including partners Fawaz, SKM Air Conditioning LLC, Trox, Finpower, Khansaheb and Technalco, HVAC R Expo also enjoys the support of leading associations like ASHRAE Falcon Chapter, AHRI, BSRIA, and REHVA. Indeed, 20 CPD (continuing professional development) certified workshops will run alongside the exhibition. The complimentary HVAC R Talks will be delivered by some of the most prominent industry names and decision makers, the likes of Faisal Rashid, Director Demand Side Management at Supreme Council of Energy, Stephanie Taylor, MD of the Harvard Medical School, and Chris Muller, Technical Director of Purafil Inc.
Major players like Zamil Industrial, TROX and Coolex are among the over 200 companies exhibiting their most innovative products at the show in November. ODE Insulation from Turkey announces the launch of its environment friendly green glasswool product, ODE Starflex ECO Acoustic, at HVAC R Expo 2018. Ozan Turan, International Business Development Team Leader at ODE, explains: “ODE Starflex ECO Acoustic contains fiberglass used for thermal, sound and fire insulation and ODE bitumen membrane with white aggregate stone. Global market leader Belimo Automation will also present its most innovative products at HVACR Expo. Visitors will be able to discover and source the Belimo Sensor Range, ZoneEase (a new advanced VAV system), the Three Way Butterfly Valve, and Belimo Energy Valve with Cloud connectivity. This latter is an advanced IoT capable control device, which has integrated logic to manage circuit performance, save money and improve efficiency. “Our Energy Valves give total visibility to circuit and system performance in chilled water and heating applications, by monitoring and storing data, then, making it available for recording, analysis, trending reports, Delta T management, precise Flow Control, and Measuring energy use – all from a single data point,” says Colin Bridges, Business Development Director of Belimo Automation FZE. “We believe we lead the field in this ground-breaking use of technology.” As the HVAC R market in the UAE is expected to reach a value of $1.5 billion by 2019, the launch of the HVAC R Expo promises to help the construction industry move toward a greener and more sustainable future. HVAC R Expo will run as part of The Big 5 along with The Big 5 Solar, the Urban Design & Landscaping Expo, Middle East Concrete and The Big 5 Heavy, creating one mega construction event with over 2,500 exhibiting companies and 100+ educational sessions. Under the theme “Shaping the future of construction”, The Big 5 2018 will address today and tomorrow’s challenges in the built environment promoting innovative solutions across all stages of the construction lifecycle through a number of new features. These include the first FutureTech Construction Summit, a dedicated Live Innovation Zone, The Big 5 Start-up City, The Big 5’s Women in Construction Seminar and Awards, and the “How to Do Business in the UAE” Seminar among others. To know more about HVAC R Expo (26-29 November, Dubai World Trade Centre), visit www.HVACRexpodubai.com.